14.5 Cu. ft., Store-More Humidity-Controlled Crisper Drawers, Store-More Gallon Door Shelf, Full-Width Wire Freezer Shelf, Reversible Door, and Clear Dairy Bin. When you hear the Frigidaire name, immediately you think of quality built, affordable kitchen products. Well the folks at Frigidaire are at it again. Introducing the Retro, EFR176, 1.6 cu. ft. compact refrigerator! 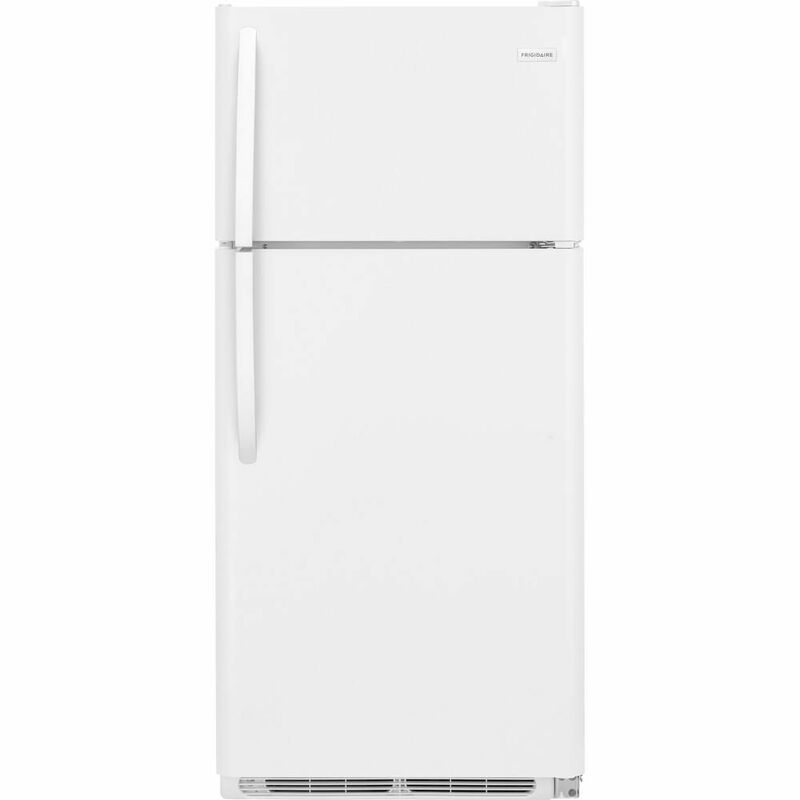 Frigidaire stepped up their game as they introduce this ideal refrigerator that screams dorm room! It comes all ready for your game days with an attached bottle opener, slide out shelves for easy cleaning, an interior freezer with an ice cube tray with an adjustable thermostat so you can keep your two liters of bottle storage at the perfect temperature. With the flush back design, adjustable feet and reversible door, the Retro can go just about anywhere. 14.5 Cu. ft. Top Mount Refrigerator 14.5 Cu. ft., Store-More Humidity-Controlled Crisper Drawers, Store-More Gallon Door Shelf, Full-Width Wire Freezer Shelf, Reversible Door, and Clear Dairy Bin. 14.5 Cu. ft. Top Mount Refrigerator is rated 4.5 out of 5 by 44. Rated 5 out of 5 by Dotsy from This Frigidaire top freezer refrigerator exactly meets our needs. The unit is roomy, quiet and w... This Frigidaire top freezer refrigerator exactly meets our needs. The unit is roomy, quiet and works great. We've had it for 2 weeks and of course we use it every day. Rated 5 out of 5 by shauna from We are very pleased with our purchase. Love the... We are very pleased with our purchase. Love the humidity controls!